Shadowed In Silk ~ The Most Author-Endorsed Book I've Ever Read! I am so privileged to have been befriended by author, Christine Lindsay. I've rarely met an author so gifted in historical story telling ~ evoking sights, sounds, smells from a foreign country during a long-ago era ~ and a period of unrest ~ making me the reader a very real part of it. Let me introduce this amazing author to you, my followers/readers, and allow her to share this amazing story with you! Christine Lindsay writes historical Christian inspirational novels with strong love stories. She doesn’t shy away from difficult subjects such as the themes in her debut novel SHADOWED IN SILK which is set in India during a turbulent era. Christine’s long-time fascination with the British Raj was seeded from stories of her ancestors who served in the British Cavalry in India. SHADOWED IN SILK won first place in the 2009 ACFW Genesis for Historical under the title Unveiled. Shadowed in Silk is available for purchase on Amazon, Barnes & Noble, and is released by WhiteFire Publishing. 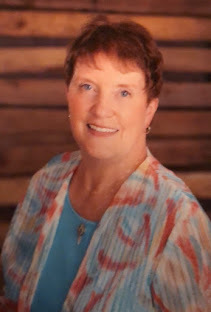 She is also a contributor to the non-fictional book released by Focus on the Family, Thriving as an Adoptive Family, where she shares her true-life birthmother story. "I guess I started writing as a six-year-old when I sat at my blackboard, and drew pictures and told myself stories. A seat-of-the pants writer for sure. I always had the knack, but didn’t put the writing gift into use until many years later. Not until I’d suffered a few hardships. When I was 21 I gave birth to a little girl and named her Sarah. Being unmarried at the time, I relinquished her to adoption—wanting the best for her. Like a lot of writers, my loss became my muse. More years went by as I wrote two books about finding a lost daughter, but neither of them sold. So I began to write another story that was burning on my heart—a story set in British Ruled India. That book won the 2009 ACFW Genesis for historical. When WhiteFire Publishing picked it up, I changed the title to Shadowed in Silk. Shadowed in Silk is not a gentle romance, although it has a very strong love story in it. But I’ve seen a lot of hardship in my own life. My father is an alcoholic who physically and mentally abused my mother. So I wrote my fictional character, Abby, also as a woman who feels invisible to those who should love her. My Abby is a strong woman, and she stands up to her abusive husband. But it is another strong Indian woman who teaches Abby that only God can lift the veil of sin from her, giving Abby the love that she has sought all her life. I wrote this book to encourage women who may feel that way. To tell them that no matter what hardship is going on in their life that God sees them and hears them, just like He heard Hagar in the desert. Just like he heard me crying over Sarah. I want to share with readers the tender-hearted God I have come to know through my own heartaches. I eventually healed emotionally over the loss of my daughter. As years passed our friendship has grown. She graciously agreed to be the model on the front cover of my debut novel, wearing the sari that I had purchased in India on a missions trip. Not only has God entwined our lives as birth-mother and daughter, but he’s entwined them through my writing. India has long held a special place in my heart, and just recently I learned that my daughter, Sarah, is going into full-time missionary work. One of the organizations she will oversee is the Ramabai-Mukti mission in India. A strange coincidence that only God could have orchestrated—because this mission in India is the inspiration behind one of my most integral Indian characters—that strong Indian woman who teaches my Abby about the grace of Christ. Are there any coincidences for a Christian? I don’t believe so. Only the sure pen strokes of a loving God in our life." This is a story about a woman, Abby Fraser, who feels invisible to those who should love her. She travels to India at the end of World War I to rejoin her husband. When she is rejected and abused by her husband she wishes the kind Major Geoff Richards, who befriends her little son, could be her husband. But Geoff is a devoted Christian. He would never offend God by having a relationship with a married woman. Broken-hearted, Abby searches for happiness in India at a time when revolution is in the air. A Russian spy puts her life and that of her child in danger, and Geoff searches the the cities and desert for them. It is through Abby's Indian servant, Eshana, that she learns that only through God can we find the love we search for. My favorite part of the book is when Geoff wants to teach Abby how to shoot a rifle to defend herself if revolution in India does take place. Abby has kept a secret from him, that she is already a crack shot. She's so used to feeling invisible that she just never tells him this. As he's teaching her how to shoot, Abby realizes she loves Geoff, but that he could never return that love. Geoff stands back in awe as she shows him how proficient she is with a rifle. It's a tender, poingant moment full of longing. But only God can sort out their problem." "Only a tender-hearted God would push me to work out my emotional pain of relinquishing my first child to adoption through writing out stories . . . and then to arrange for that same beautiful grown up child to grace the front of my debut novel. I will take all of eternity to thank the Lord enough." I learned today that this book is going to be discussed in the ACFW BOOK CLUB. I hope those of you who are NOT members already will avail yourself of that option in the ACFW membership. This is a must-read and getting to know the author during the discussion is something no reader will want to miss. Thank you, Christine for allowing me to promote this wonderful book. I look forward to the discussion in the book club!